Sun., Sept. 30, 2018, 9:46 p.m.
SACRAMENTO, Calif. – Gov. Jerry Brown on Sunday restored net neutrality rules in California that were repealed under the Trump administration, setting up a legal battle with the federal government over whether states can prevent companies from blocking access to the internet. “I look forward to working with my colleagues and the Department of Justice to ensure the internet remains ‘unfettered by federal or state regulation,’ as federal law requires, and the domain of engineers, entrepreneurs and technologists, not lawyers and bureaucrats,” Pai said. The bill’s August passage in the Legislature capped months of feuding between tech advocates and telecom industry lobbyists. Telecom giants such as AT&T and Verizon Communications poured millions into killing the legislation, while grass-roots activists fought back with crowdsourced funding and social media campaigns. 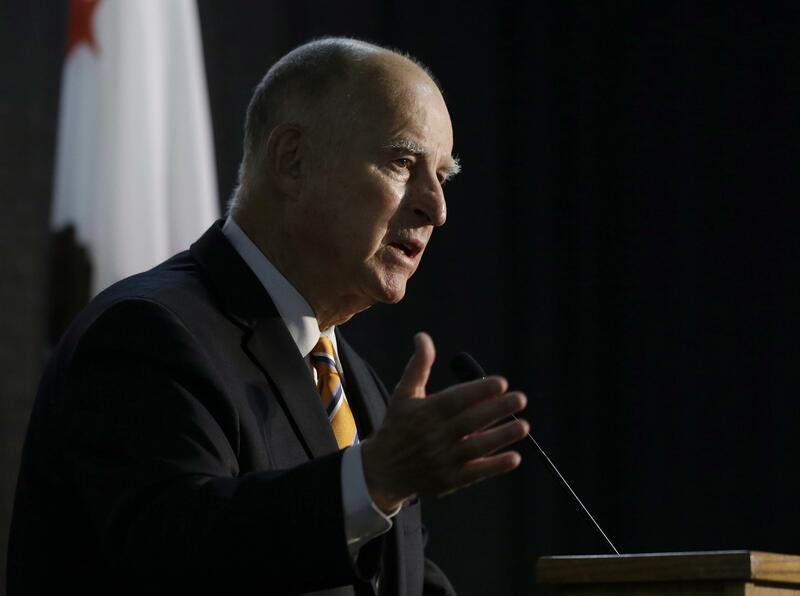 California leaders cheered the governor’s approval of the bill Sunday, saying the new rules were vital to protect fair access to the internet and part of the state’s resistance to the Trump administration on tech, immigration and climate change policies. Sen. Scott Wiener, D-San Francisco, who introduced the net neutrality proposal, said he believed California would be able to defend it in court. Experts have said the new law would impose the toughest net neutrality regulations in the country by reinstating the rolled-back federal regulations at the state level. It tasks the state attorney general with evaluating potential evasion of the net neutrality rules. It also adds new restrictions on some zero-rated data plans, package deals that allow companies such as Verizon or Comcast to exempt some calls, texts or other content from counting against a customer’s data plan. Those limits prohibit plans that exempt content from some companies but not the same type of content from others – video streamed on YouTube but not Hulu, for example. National Democrats, including House Minority Leader Nancy Pelosi of California, urged Brown to sign the bill as net neutrality became a rallying issue for the party’s candidates in House races across the country. Speaking at a news conference in San Francisco last month, Pelosi commended the grass-roots mobilization behind the effort and read a letter from Rep. Anna G. Eshoo, a Menlo Park Democrat, who has led the charge for net neutrality at the federal level. Eshoo denounced a recent case in which firefighters were reported to have been hindered by inadequate internet access while battling the Mendocino Complex fire. “This is where public safety and access to the internet and no throttling involved are so important,” Pelosi said. Sen. Ling Ling Chang of Diamond Bar was the lone Republican to vote for the bill in the state Senate. The legislation received overwhelming support from both parties in the Assembly, as opposition to the federal rollback of the rules has remained overwhelmingly bipartisan. Tech activists and advocacy groups say other states are sure to follow California and described the rules as crucial to protect open access to the internet for impoverished and marginalized communities. Haleema Bharoocha of the Oakland-based Greenlining Institute, a racial justice and economic policy center, said the internet had given her a platform to combat sexual harassment and raise the voices of other Muslim women in the #MeToo movement. “Net neutrality has given me a voice online when I’m not able to speak offline,” she said at the San Francisco news conference. Still, telecom industry groups and lobbyists warn that a legal challenge of the new law could make its way to the Supreme Court. “We all support strong and enforceable net neutrality protections for every American – regardless of where they may live. But this bill is neither the way to get there, nor will it help advance the promise and potential of California’s innovation DNA,” said Jonathan Spalter, president and chief executive of USTelecom, a Washington-based lobby group. California Attorney General Xavier Becerra, who along with his counterparts in other states sued the FCC over its net neutrality repeal, embraced the state’s efforts to restore the rules. But he cautioned his agency would need additional funding and staff to complete its new regulatory duties. California is one of more than 25 states to consider net neutrality protections since the FCC voted late last year to reverse the Obama-era internet regulations. FCC Chairman Pai and Republicans have called for an end to the utility-like oversight of internet service providers. The rules, enacted in February 2015 and ended in June, barred broadband and wireless companies such as AT&T Inc. and Verizon from selling faster delivery of some data, slowing speeds for certain content or favoring selected websites over others. Since then, tech companies including Amazon and Facebook have filed briefs in support of the states’ lawsuit against the FCC to restore net neutrality. But Pai has remained vocal about his opposition to the Obama-era rules and California’s own net neutrality proposal, calling it “a radical, anti-consumer internet regulation bill” during a speech last month at the conservative-leaning Maine Heritage Policy Center. An additional proposal by Sen. Kevin de Leon, D-Los Angeles, was shelved in the state Assembly. It would have denied public contracts to companies that fail to follow the new state internet rules, but it sunk amid opposition over last-minute amendments. Soon after the passage of Wiener’s bill, he and other legislators said they worked with the state attorney general’s office to make certain SB 822 would be able to withstand legal challenges and said they were prepared to battle the telecom industry in court. Published: Sept. 30, 2018, 9:46 p.m.